Spokesman of the Attac, an anti-globalization movement, which is one of the organizers of the demonstrations in Germany's Hamburg amid the ongoing G20 summit, said that the group asked its supporters to refrain from violating laws and warned them about the activities of radical activists in the city. 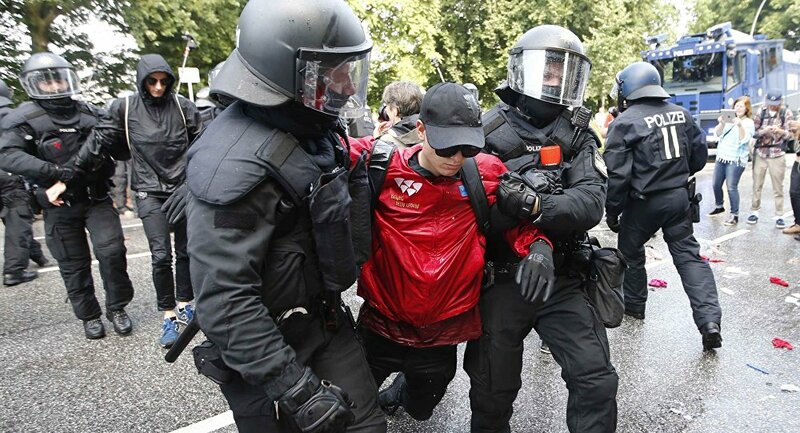 HAMBURG (Sputnik) — The Attac, an anti-globalization movement, which is one of the organizers of the demonstrations in Germany's Hamburg amid the ongoing G20 summit, accused police officers clashing with protesters of abuse of power, in a comment to Sputnik on Friday. A number of demonstrations has already taken place or would be held in Hamburg against the backdrop of the G20 summit. Several of these events have turned violent and law enforcement officials used tear gas and water cannons against the protesters. According to media reports, at least 130 officers have been injured since the beginning of the rallies and dozens of protesters have been detained. "Police's response [to the protests] is completely disproportionate, the use of water cannons and pepper spray against the demonstrators is inappropriate. We are forced to take away our comrades, who have been affected by the use of riot control weapons, from authorized actions. It is abuse of power," Attac's spokesman said. The spokesman added that the group asked its supporters to refrain from violating laws and warned them about the activities of radical activists in the city. ​Germany has taken a wide range of steps to ensure security of the two-day summit that kicked off in Hamburg on Friday. About 20,000 police officers, including the law enforcers from other German federal states are on duty in the city. The law enforcement agencies also have been provided with police cars, helicopters and K-9 dogs to secure the event.